Welcome to Genesis Miniatures! Please take the time to have a look around, and I hope you enjoy looking at the figures as much as I did painting them. Whether it's tabletop wargaming or display pieces, Warhammer© or scenes from history, Genesis Miniatures is a painting service that specialises in tabletop miniatures of all sizes and shapes. We have a passion for models and the narrative they portray, and strive to give character to every army we paint. 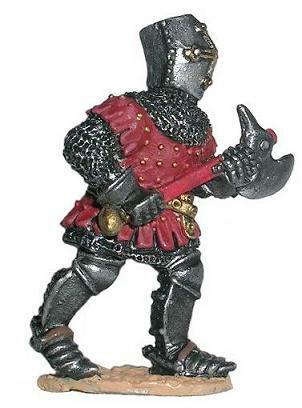 We take pride in guaranteeing attention to historical detail and superbly finished miniatures. Click back to the site regularly, as we regularly to our painting, sculpting and conversion galleries. Don't forget to check out our range of hand-cast and painted chess sets.